The IRRC - International Road Racing Championship, is a championship organized by MSC Frohburger Dreieck e.V. (Frohburg, DE), K.V. Ostend Motor Sport vzw (Oostende, BE) and the HAMOVE. This championship is held over 6 events in 5 different countries. The races are resumed at the FIM or FIM Europe calendar. The races are admitted by their national federation and meet the requirements of this federation. 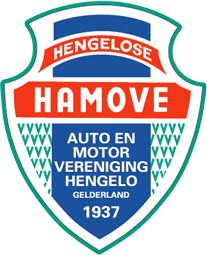 The motorclubs HAMOVE (Hengelo Gld, The Netherlands), KV Ostend Motorsport vzw (Oostende, Belgium) and MSC Frohburger Dreieck (Frohburg, Germany) have started an international competition in 2003. The name of the competition was ‘3 Nations Cup’. The goal of this cup was an international competition between 10 Dutch drivers, 10 Belgium drivers and 10 German drivers. The total competition existed of 6 manches, 2 at every event (Hengelo, Oostende & Frohburg). In 2009 more circuits approached the organisation of the ‘3 Nations Cup’ to join the competition in 2010. Drivers from countries other than the organising countries had the same question. So it was time for a change, time for a new competition. A new competition needed a new name. The new name was International Road Racing Championship (IRRC). The goal was still the same: an international competition on road circuits. The amount of circuits of the competition was expanded in 2010. Besides the races in Hengelo, Oostende and Frohburg there were also races at Chimay (Belgium), Oss (Netherlands), Terlicko (Czech Republic), Horice (Czech Republic) and Schleiz (Germany). In 2012 we have split the IRRC-competition in Superbike & Supersport. For more information, visit the official IRRC website.